The Mexicans abroad list just added a new member but lost another. One of Mexico’s most skilled forwards will be on his way to Los Angeles in January 2018, while a hopeful youngster is set to take on a new challenge in the Netherlands. It wasn’t long ago when we learned Mexico/Santos Laguna winger Uriel Antuna was on his way to a new team. Details were not specified, but we have an official loan from Manchester City to FC Groningen for the youngster. The news is exciting for the fact this gives Uriel his chance to adapting to European football and hopefully getting City’s attention in the process. The winger was a bright spot in Mexico’s quarter-finals run this summer, where they fell short to the eventual winners England. Uriel had a short-lived career in Mexico, yet, this move will have fans thrilled with what potential could come out of this loan. Once nominated for best striker in La Liga, Carlos Vela has decided on a new career move starting in January 2018. Fans of the new MLS club, LAFC, are ecstatic with the signing of one of Mexico’s best forwards. A player who has the skillset to change a game, supporters of LAFC are certainly going to enjoy seeing Carlos Vela in their first year as a club. For others, it’s another shot to the gut in what has been a very poor summer for Mexican football. Carlos will be joining a team with only two others on the official roster at the time of his signing. He will be on Real Sociedad’s roster until January, but what is their incentive to play him with news he is out the door halfway through the season? There’s no CONCACAF champions league action for the brand new club, so there’s possibly a major gap of time coming between rest and actual play for Carlos. 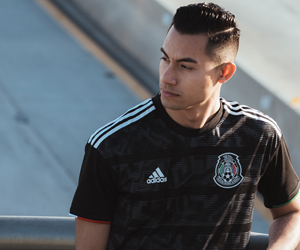 As Russia 2018 approaches, this move is another head scratcher for fans of El Tri, as their most in-form forward and midfielder accepts deals with clubs in MLS when they were hitting stride in a top-flight league. The Transfer of the Century: Neymar, PSG, Commercial Value, And Post-Messi/CR7 Football.